Sure, you’ve heard of the great Lake Travis deep in the heart of Austin, but what exactly is there to do on it? We've compiled a list of the best things to do on Lake Travis so you can have a wet and wild time! Need to get away from the loud and ever-expanding Downtown Austin? Located just a few miles outside of town, Pace Bend park provides campers with a calming camping experience that's not too far from home. Here, you'll be able to take in breathtaking sights of cliffs as you enjoy the sounds of the Lake Travis waves crashing. The park provides camping-related necessities such as tables, fire pits, bathrooms, and showers. This park is ideal for the nature lover in you! Add some adventure to your day on Lake Travis by going over to Volente beach water park. This park features slides and attractions for everyone including a private beach for you to soak up some rays. Volente beach is great for families or anyone looking for a fun alternative to the usual lake activities. 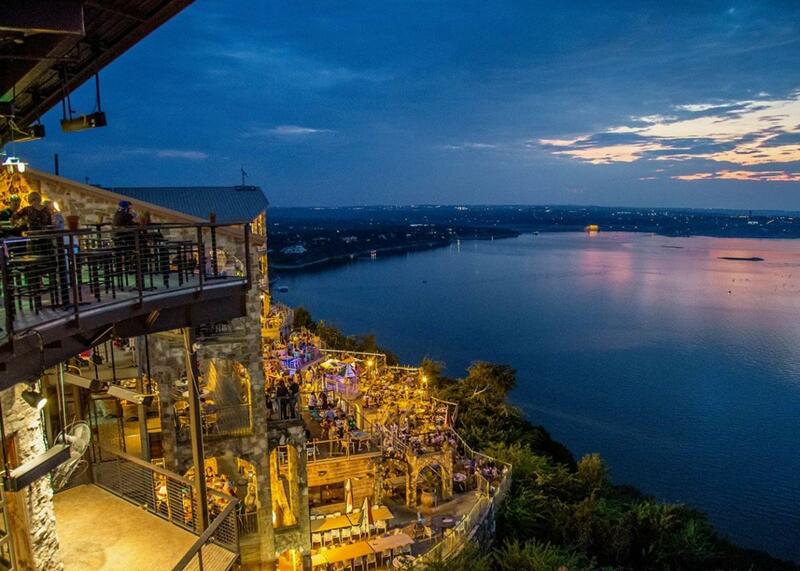 Nestled right on Lake Travis, the Oasis not only provides good margaritas and food but also breathtaking views of the lake. There's a reason the Oasis hosts a lot of weddings as this restaurant is ideal for romantic date nights, but families will enjoy outings here, too. After eating, you can walk off your meal by visiting all the surrounding shops. When you ask the average Austinite what to do on Lake Travis, they'll often mention the Oasis. Is riding in a boat a little too mundane for you? Well, at Aquafly you can fly high above Lake Travis with help from a water-powered backpack or board! This activity is ideal for the thrill-seeker and not for the faint of heart. Whether you go for a vacation or day trip, there's plenty of things to do on Lake Travis that will simultaneously melt the stress away and beat the doldrums. For more things to do in Austin, register on 512area and connect with everything in the Austin area!